Our love of all things mid-century came about because we grew up in a house that was full of furniture from that time and so we view the era with a certain amount of nostalgia. We now recognise that many of the pieces we took for granted were in fact quite iconic, like these conical Osier chairs which were quite commonplace but we never viewed as anything more than a popular and ideal seating choice for the climate. 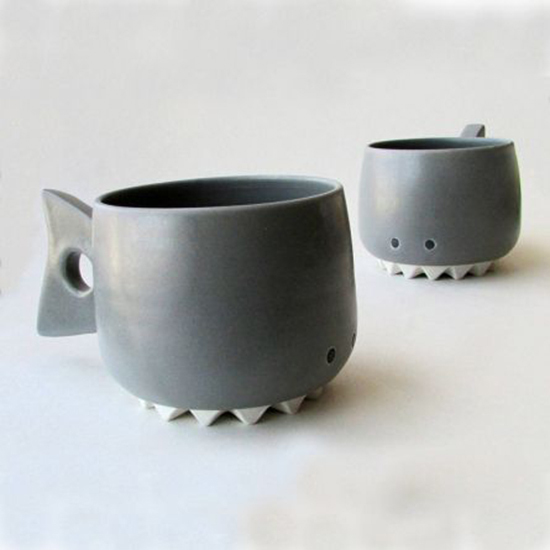 How adorable are these ceramic shark, monster and ghost cups made by Creations Li? Made of handmade porcelain, the cups are microwaveable and dishwasher safe. Made from tinted limoges porcelain, these beautiful butter dishes are part of the Alice by Feinedinge collection. Handmade in Vienna, Austria, each dish is characterised by slight irregularities in form and colour. Why bother with one of those characterless, stainless steel juicers when you can use the Juice Bruce. 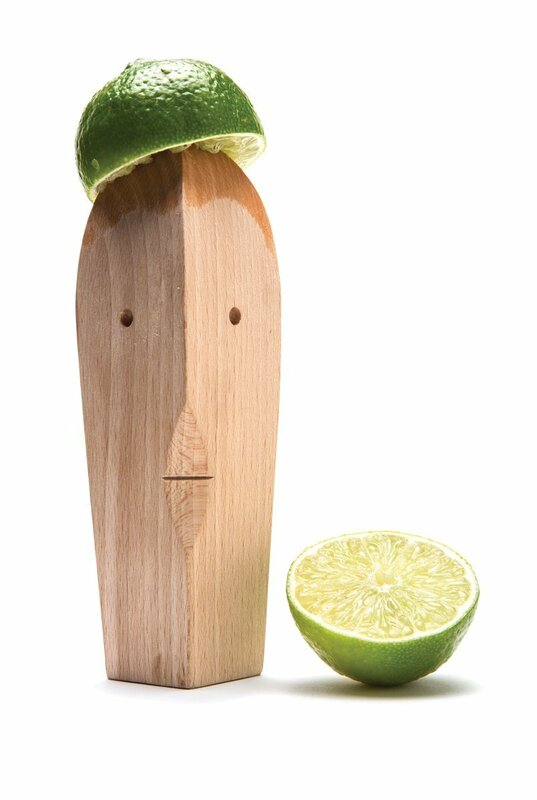 The deceptively simple wooden hand juicer comes complete with face and the easy design makes juicing easy for adults and children alike. Included as part of the refurbishment of the Hamilton Princess + Beach Club are some significant pieces of original contemporary art which have been chosen to contrast with the traditional architecture of the main buildings. 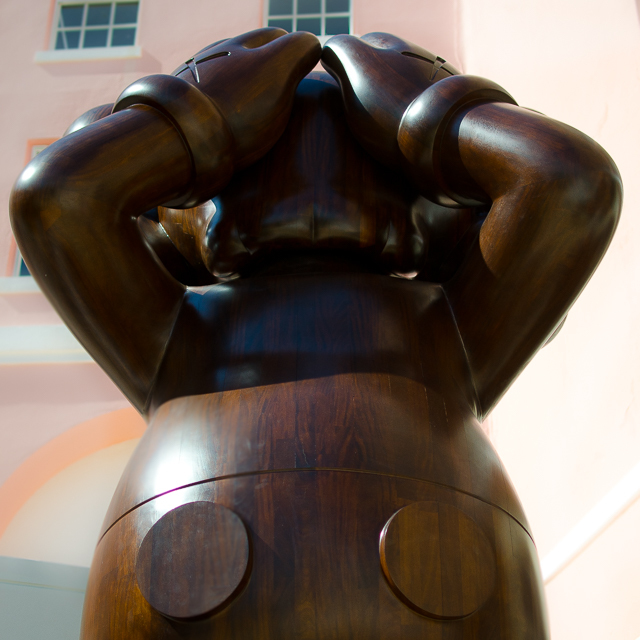 One of the more recent additions is this imposing wooden KAWS sculpture entitled 'At This Time'. Other artists whose works are on display include Andy Warhol, Damien Hirst, Tom Sachs, Yayoi Kusama and Bansky. Guided art tours of the hotel are offered on Saturday mornings or by special appointment. 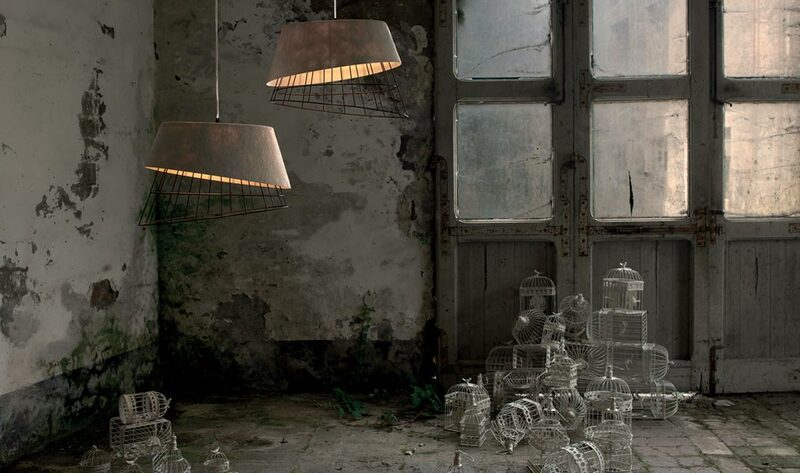 The Mono pendant lamp is made of white fibreglass that has been wrapped around rusted iron wire netting. It was designed as a collaboration between Giovanna Colapristi, a student of the Verona Academy of Fine Arts, and his professor designer Sotirios Papadopoulos. 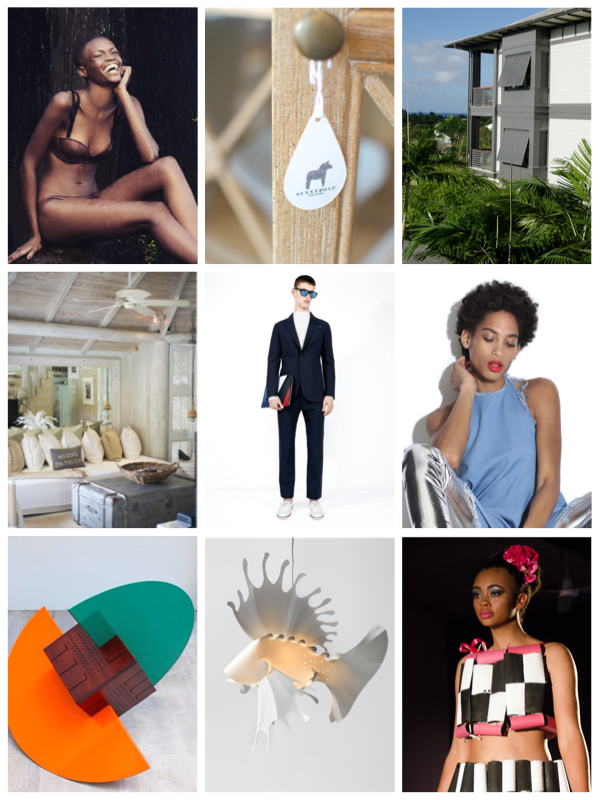 Here is the biannual look back at some of our favourite local posts of the year so far. Links after the jump. IKEA are great at their limited edition collections which are produced in collaboration with various designers be they in house or external. In a departure from the more exuberant collections the company has put on offer recently including ones inspired by Brazil and almost psychedelic pop art, this collection called Viktigt has been created with Swedish glass and ceramic designer Ingegerd Råman and is typically Scandinavian in terms of its aesthetic and restrained colour palette. 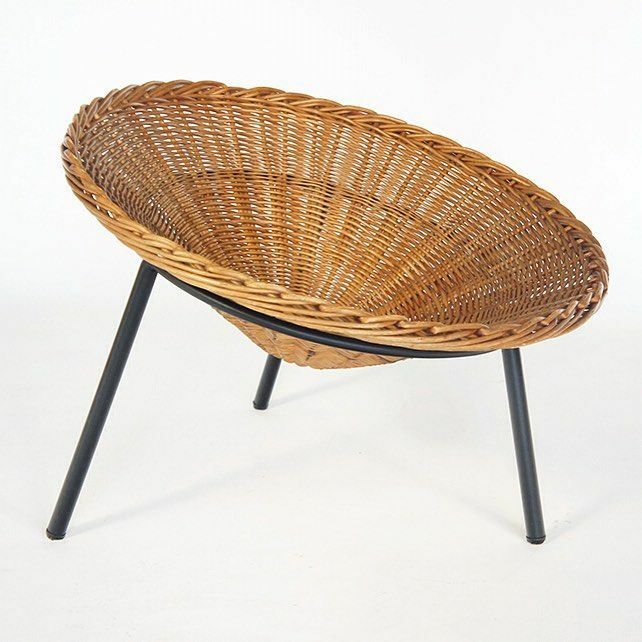 The collection consists of handmade glassware and ceramics and baskets, rugs and seating made from natural fibres. The result is furniture that is lightweight yet comfortable and durable. The range is simple and pared back, but does not lack sophistication. Discrete details and thoughtful touches make this line a definite showstopper. The Viktigt collection is in stores now. 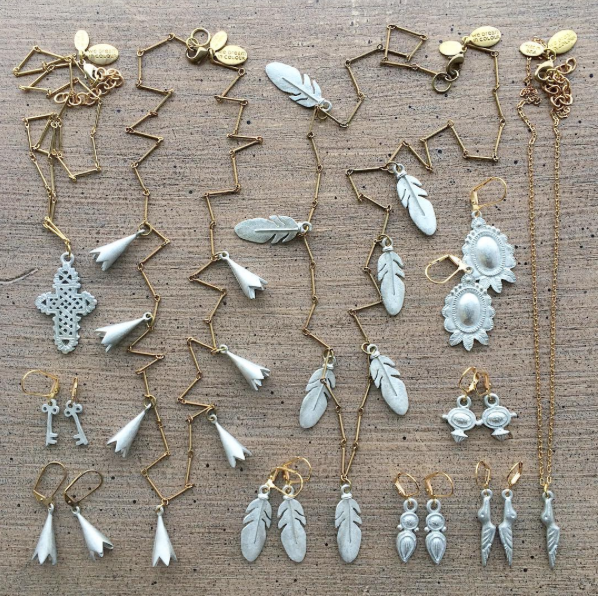 Pretty pewter jewellery from We Dream in Colour and designer Jade Gedeon. 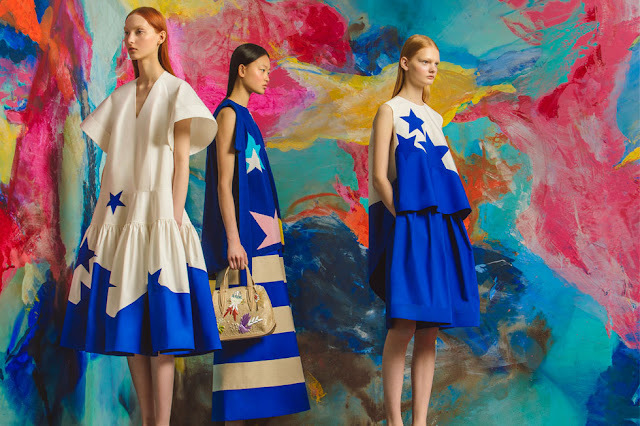 Delpozo's creative director Josep Font continues to work his magic with the house's first ever Resort collection. Taking much of his inspiration from sculptor Anthony Caro, Font sought to "touch with the eyes" and we would say that he was successful in this endeavour as there is much to take in and everything is delightful. With the trademark mix of bright colours, volume and embellishment, the collection reflected a more wearable version of their clothes, raging from relatively casual to more formal pieces, but managed to maintain the Delpozo aesthetic without straying too far off the mark. Sculptural whorls, organic embellishments and petal-like forms adorned bodices and skirts. Inspiration was also taken from French director and illusionist Georges Méliès whose love of the sky and the sea were evident in the amazing star prints and raffia fish embroideries. Showstoppers included an ankle-length brocade coat with raffia motifs and dresses and skirts with sheer organdie overlays. The clothes were paired with ladylike purses in complimentary hues or woven purses and platform slides decorated with raffia embellishments. We feature a lot of chairs here and for some reason we also feature a lot of rocking horses. 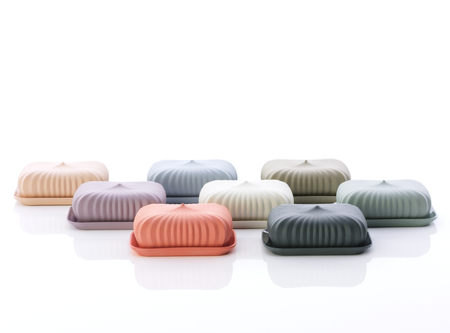 This one from Maison Deux is one of three rockers that are a new take on the toy (other shapes include a bowler hat and a watermelon slice). We think the Cloud Rocking Horse gets the vote for most likely integrate into almost any interior but still allow your child's imagination to run free. 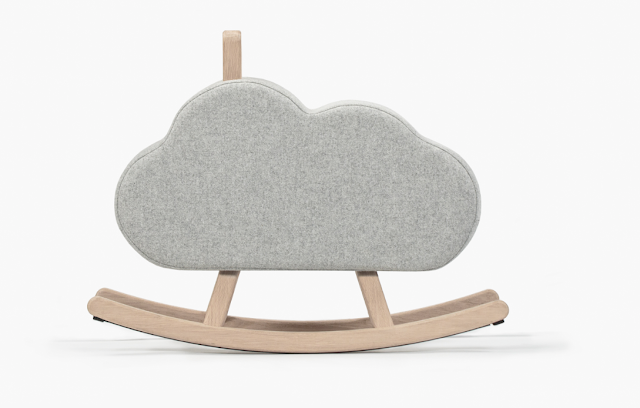 The rocking horse is made from solid French oak and upholstered in wool by Kvadrat. Photographer Meredith Andrews and stylist Shiona Turini capture the relaxed glamour of Bermuda in the summer with this swimsuit editorial for Nylon magazine that showcases some of the biggest trends of the season. Chaise Solo Cello by Les Ateliers Guyon, made of steel and leather, conjures up the contemporary elegance of the great Art Deco hotels of the 1920s. 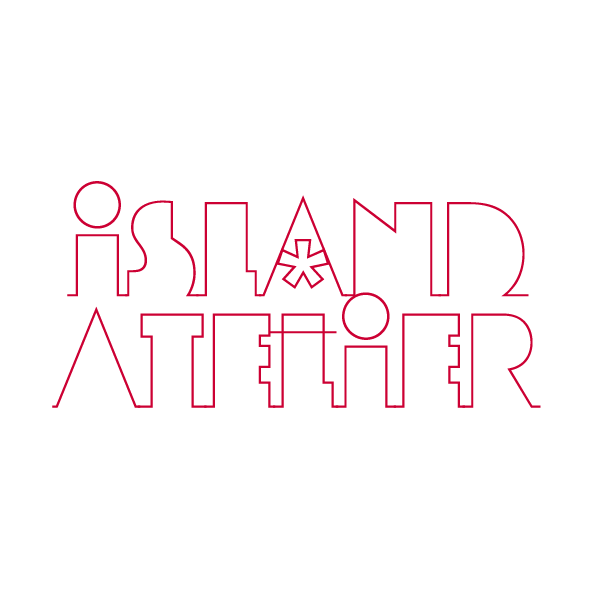 The unique piece was developed specifically for ALT Hotels in Halifax and Montreal and can be found hanging in the entrance of these establishments. The splayed legs and curved back of the Ray Chair by Russian designer Lera Moiseeva are inspired by a tree reaching towards the the light, while burrowing its roots deep into the ground and is a result of Moiseeva's attempt to interpret nature in objects. 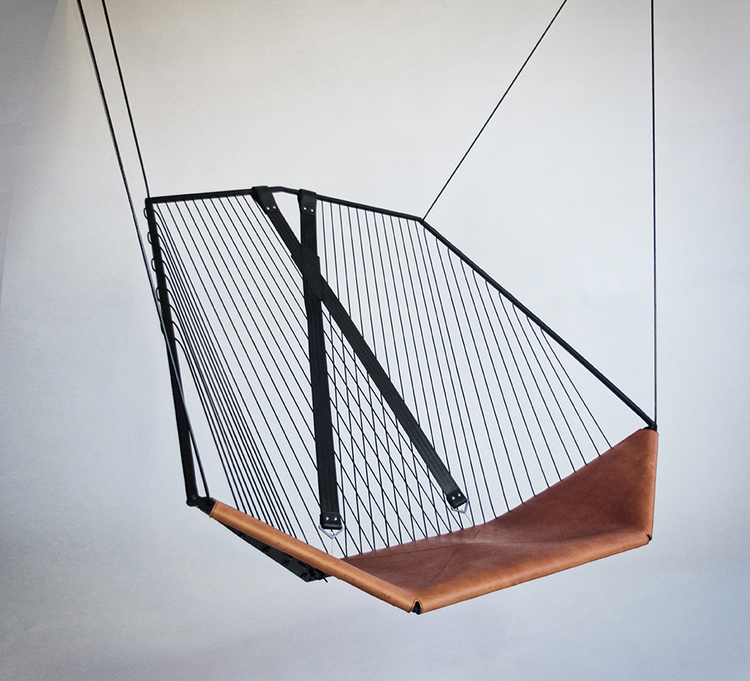 The idea for the Ray chair was developed by the designer after she worked on an interactive outdoor light installation which had a number of rays converging on a point. These converging rays became the inspiration for the chair's support structure, and gave the piece its name. The five legs of the chair take the place of its roots and support the seat and a curved back with minimal lines. 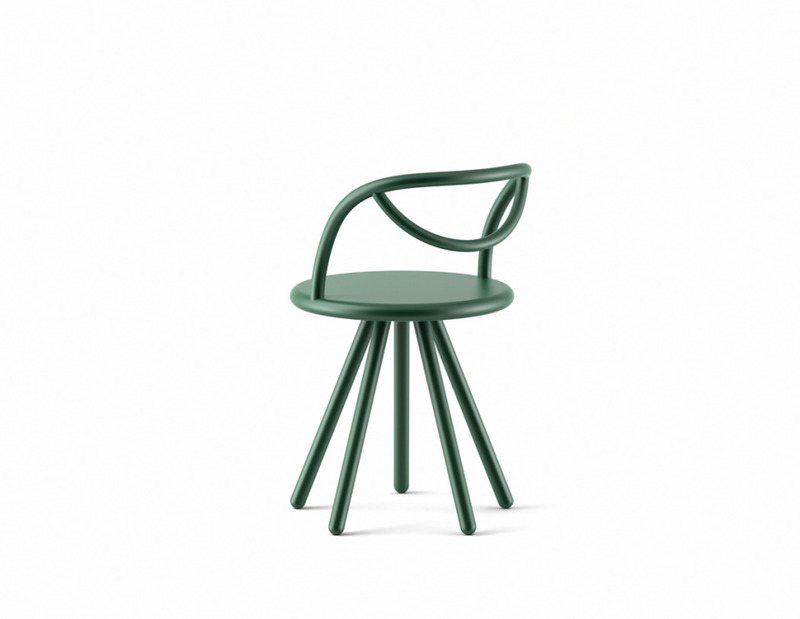 The chair is crafted from tubular steel, a material chosen to enable its dual use indoors as well as out.